This is an uncomplicated 15 pay line game on five reels. There are three columns that use the flag from the United Kingdom as a backdrop. Two Queen Foot guards are located on either side of the reels standing in front of stately white columns. They are wearing red coats and tall fuzzy, black hats. Symbols are free flowing with stellar 3D visual effects and crisp colors. A 500 dollar fun money balance is available and is displayed at the top of the screen next to the wager amount. There is a Stake and Lines box that allows you to change the number of lines to bet on and the amount per line. It is as low as one cent to as much as one dollar per spin. The developer Nektan tried to create a game where players can have a bit of fun with this game just by looking at the symbols. A large settings box is located at the top left of the screen. Once you click it, five additional options appear. The options include sound, deposit for real money, a turbo feature, a lobby, and game info buttons. Each one takes players to each section to make various selections to adjust reel speed, volume, or deposit funds to play for real. 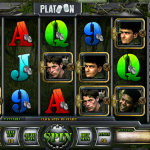 There are simple steps to begin play including choosing the stake and lines button followed by clicking the spin button. 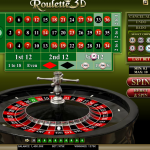 The spin button is a giant rolling pin with one arrow pointing to the number of lines and the other pointing to the wager amount. The music plays the British national anthem as the reels spin. Players will consider the game symbols to be funny designs. Pay lines pay both ways as long as there are three are more matching symbols on a single reel. 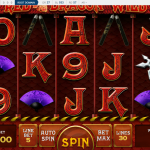 Bonuses start with three red, white and blue spin buttons that activate free spins. The wild symbol is a gray bull dog with a British flag in the background. There are five more symbols including a tea pot and cup, black police helmet, double decker red bus, basket of food, and a Best of British sign. The letters A, K, Q, J, and number 10 complete the list of symbols. A multiplier feature is triggered with any three to five icons. Three icons award a range of a 20 to 100 time multiplier. Four icons payouts are awarded in a range of 50 to 250 times the bet. The biggest multipliers come with a 100 to 500 times the wager for five symbols. Play is pretty simple with swift moving reels at the beginning of the game. Once there is a winning spin, the pay lines are highlighted by a yellow box around each symbol. In addition, a queen’s crown is displayed with the payout in yellow writing. There is no auto play button, progressive jackpot, or max bet button in this game. Players will not find a pay table to describe how much each icon is worth as this is a multiplier only pay context. There are no additional bonus features offered. The game is frozen as the winning symbols are registered. After this is complete, the spin button reappears. If payouts are higher than 20 dollars, the game splashes big red letters stating big win with the amount rolling on the screen. The software sticks a lot during play to the point where the music stops and starts. 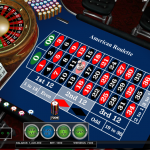 It is a distraction to players when the reels stop and start repeatedly. 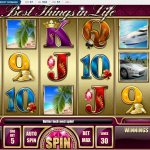 More than 45 minutes passed in regular play before 30 free spins were awarded. I won a total of two dollars with 30 bonus spins. This game is very disappointed with low payouts, no outstanding features, or interesting bonus games. Players will certainly not play this beyond their first time out. The frustration continues and grows the longer you play each spin the sticking reels get worse. I turned off the sound because it began to get annoying with the stops and starts. I also turned off the turbo feature in an attempt to see if this was the reason for the software issues. This remedy did not correct or slow the problem at all instead it continued to happen. I play loads of online slots games and have never experienced anything like Best of British Slots performance. The developer needs to check to see what the bugs are and launch a fix with a new release. After 30 more minutes of play, I gave up and will not frequent this game nor recommend it.